Photography and Journey. 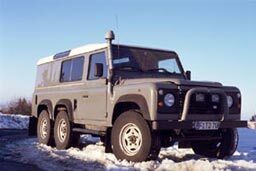 Foley 6x6 130 Land Rover Defender. Foley brothers, Feb 2005, Roydon, UK. 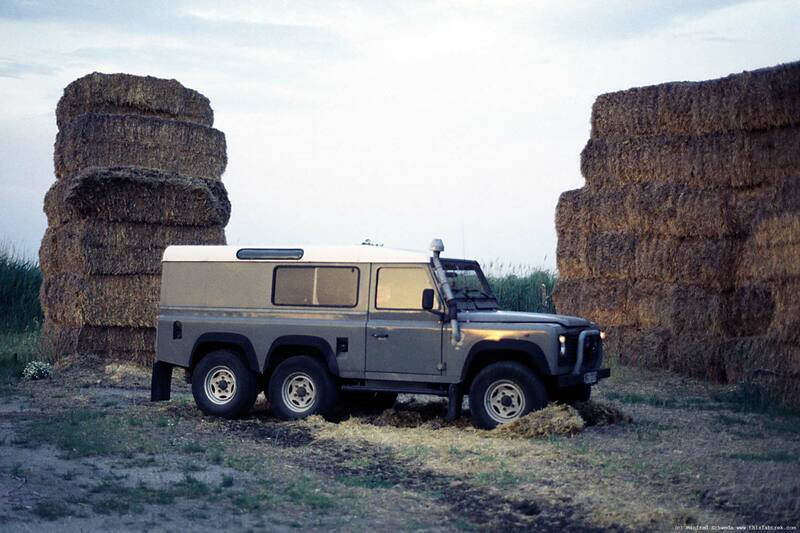 My Land Rover Defender in Jan 2001 shortly after I bought it! Sunshine was bright and warm when we drove to one of the peaks in Taunus, a low-altitude mountain range near Frankfurt. Down in town, we had been drenched in misty rains for weeks, life was really getting more miserable by the day. Irene and I were driving out of town to take some first pictures of the Land Rover. With the sun out when we reached the top it seemed as if nature was trying to send a message that this was not just a new toy, but maybe a first step towards a whole new and different life. It is a 6 wheeled 130 Land Rover Defender that I bought here from Marc Olof Voss in Heidelberg, Germany. 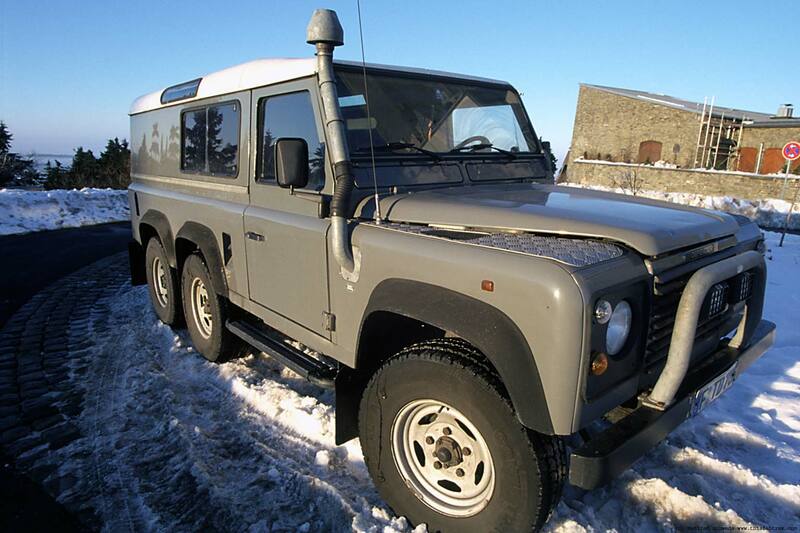 Marc by the time owned another Defender 6 wheeler which was even longer then the one he sold to me. And Marc had been into 6-wheelers for a while and had traveled Africa. He is said to have rolled a Land Rover or two, ..
Marc as I later found out had the 6-wheel conversions done by Foley Specialist Vehicles in Roydon near Harlow, Essex in the UK (north of London/near Stansted Airport). 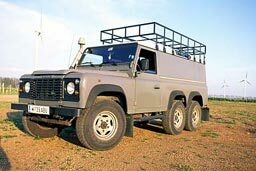 And it is Foleys that has all the experience in converting Land Rovers and preparing them for overland travel in Africa. 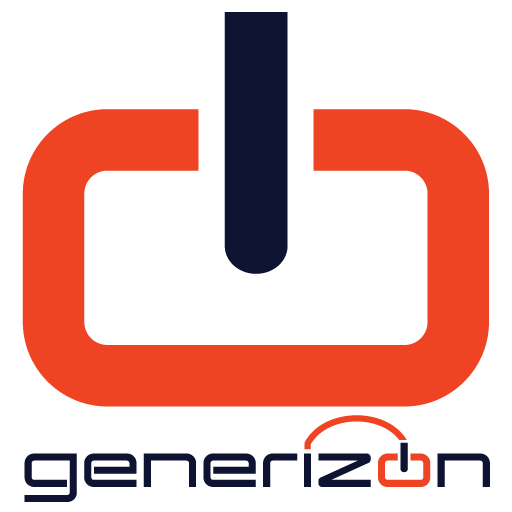 The company is managed by two brothers Paul and Stuart, who inherited their fathers business. Paul spent 7 years in Africa manging Foley's subsidiary there, formerly in Livingstone, nowadays in Lusaka, the capital of Zambia. 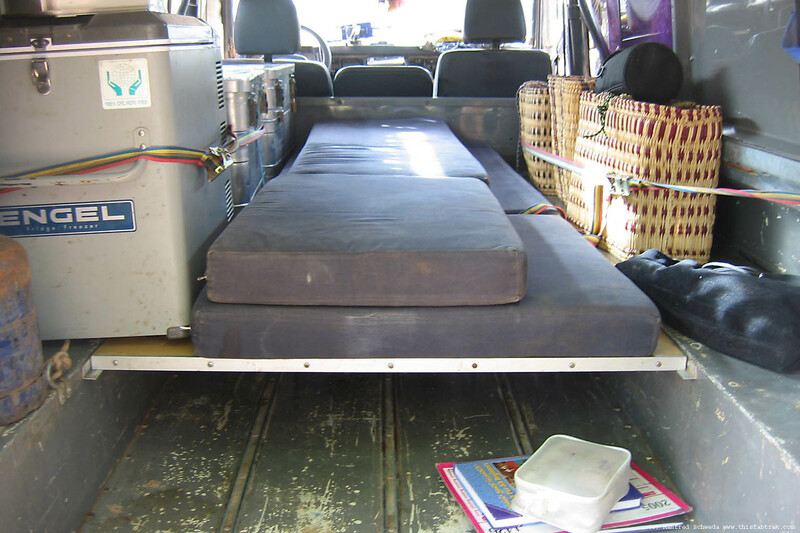 Part of their business is to rent out Land Rover bush campers to tourists. 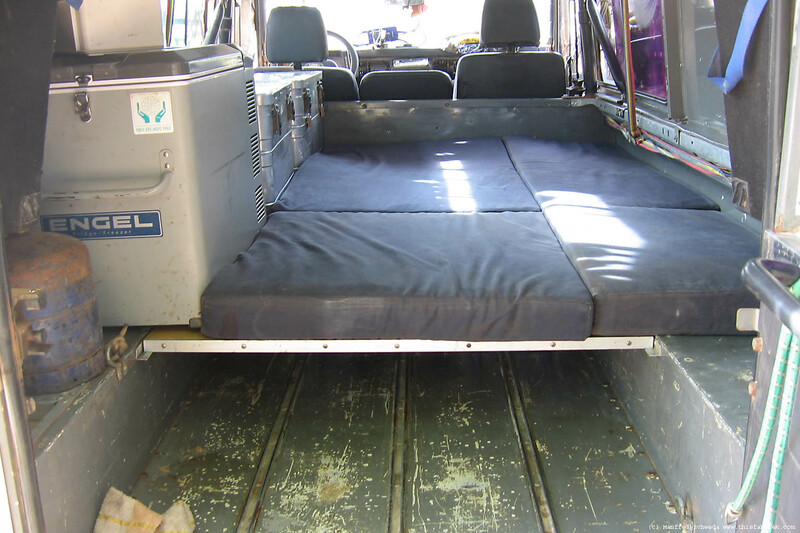 My Landy was originally a 90 Defender, still has many of the 90 features, like a tank under the front seat. 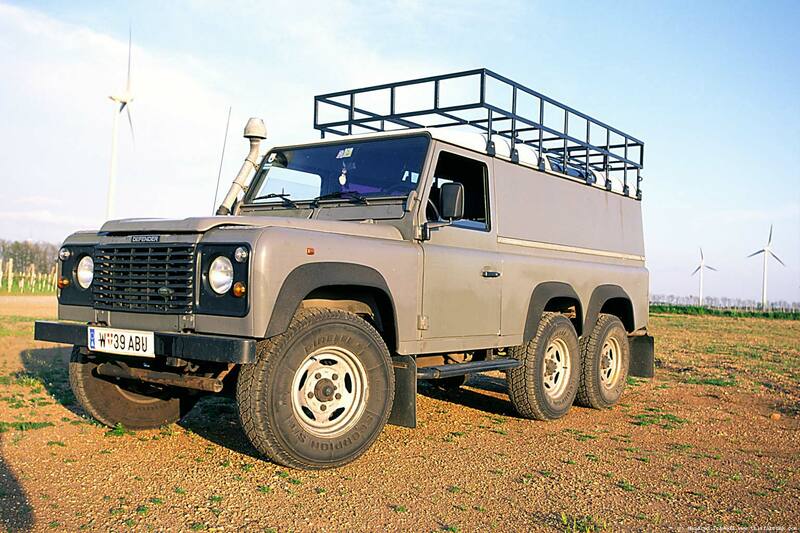 Summer 2003: I purchase a big roof rack have it sandblasted, electro galvanised and painted. At Foley's I will have it strengthened and supports mounted in the rear. In May 2004, before leaving Vienna, the Land Rover is thoroughly checked with the very nice people at Doubek garage in Neudoerfl, Burgenland, Austria. I spend myself some days in the garage with them and they explain to me how stuff works and answer all my questions. In London, Jan 2005. 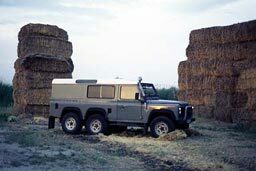 At Foleys the Landy is converted to a 6x6 vehicle. Springs/suspension are being renewed. Stronger springs seem an obvious solution for all the weight I am carrying with the draw-backs of putting more strain onto the chassis and pillars. Finally in March 2005 I reach Morocco. The Landy has been in Africa ever since and will stay there with me for a while as I travel this great continent. at Foleys, Feb 2005, Roydon, England. Rollbar mounted, Feb 2005, Roydon, UK. Sand ladders mounted, Feb 2005, Roydon. 6x6 transfer box, unit, Feb 2005, Roydon. 2005 spring, finally in Morocco. Here is some raw data. 2.5 litres 300TDI, 4 cylinders, 111 HP (83 KW). Repairs have been too plenty to list them all. Mechanics in Africa are plenty, many are butchers, some are really good. Wow, there is loads still in the Land Rover. Funny how I look back at it all, some was useful, tools, etc. ; a lot was useless, broke, even more stuff was never ever used. And I deemed it necessary when I first started out 2004. Have a look at the Equipment and gadgetry page then, or how convinced/proud I was stuffing it all in boxes. Fact is today I go on a journey and try to fit everything in a knapsack. So I can take a plane back/abandon my car/change my plans/see my kids. 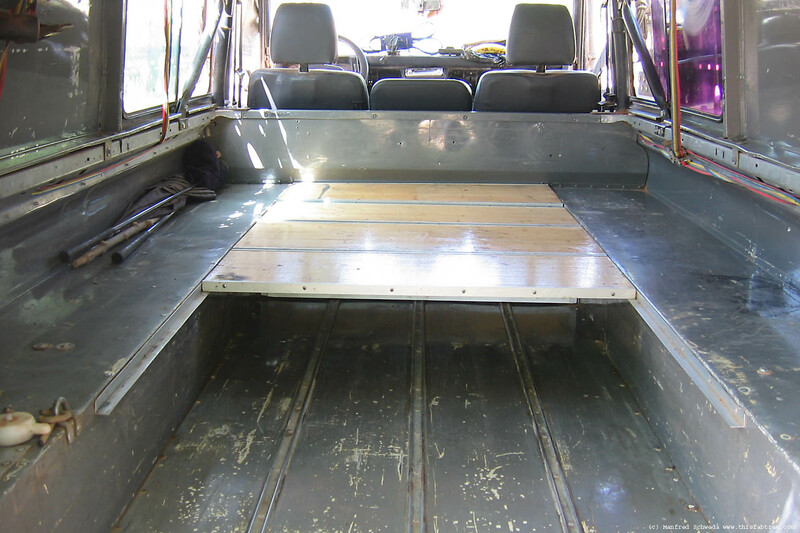 The Back/Interior of the 130 6x6 Land Rover Hardtop. it's even fuller while moving about. The fun is driving the 6x6 Land Rover on beach and desert. PS 2011/04: I abandoned the Land Rover in Mali years ago. One day I will go back repair it with my mechanic and take it through the whole of Africa. But for now there are other things to do. 6x6 Land Rover Sebkhet Chemchâm flat desert, Mauritania. 6x6 Land Rover in Sahara Dunes, Mauritania. 6x6 Land Rover on Beach, Mauritania. 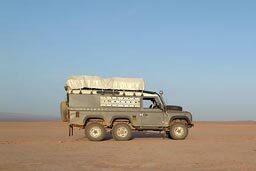 6x6 Land Rover on Big Rock, Mauritania.